an open [sketch]book: splish splash, max is taking a bath! splish splash, max is taking a bath! We've had an extraordinary amount of unexpected house guests this week. And oddly enough, they all show up at bath time! 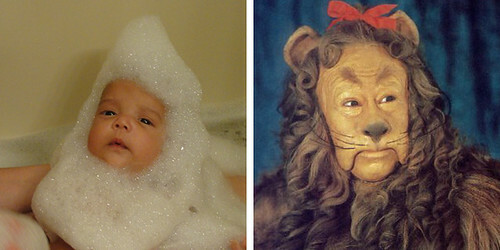 Next came the Cowardly Lion...who surprisingly, for a feline, liked the water! 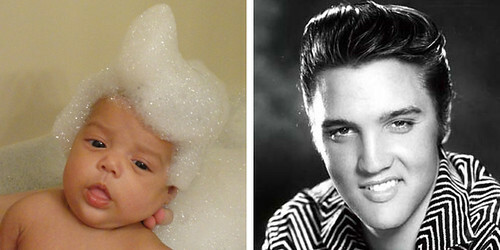 And last, but certainly not least, Elvis! Des moments tellement beaux à conserver dans la boîte à bons souvenirs. Gros bisous à vous et à toute votre petite famille. That is hilarious! Love it! Even the facial expressions match! And that kid is TOO cute! The cutest most entertaining thing ive seen on all the interweb! 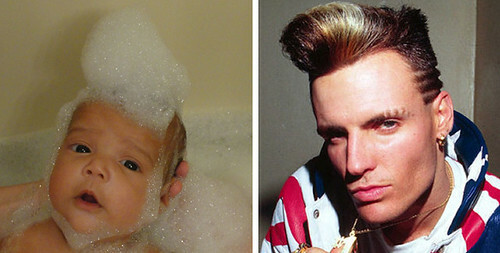 Sorry i missed bath time tonight, but i will be sure to be thinking of some "soap-styles" to contribute. ROFLMAO!!! Too funny Suzanne! I'm still laughing! You're too funny! How sweet! 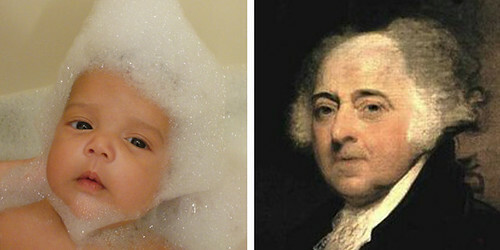 the many faces of babies... it's like living through a thousand lifetimes in just a few months! OMG that is TOO cute!!! I see these as a 21st birthday masterpiece. What an awesome photo set. Love it! Okay, this is seriously funny. I love your artist soul -- to find art in the most everyday kind of places. Love it!